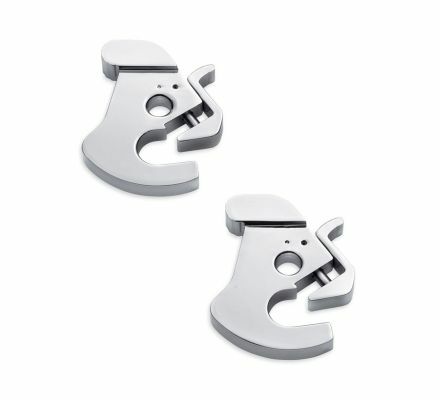 Decorative chrome latches are the perfect way to enhance the appearance of your detachables accessories. Meticulously polished and chrome-plated, these easy to install Latches are a direct replacement for the Original Equipment satin black parts, and are a simple way to add a finishing touch to your ride. 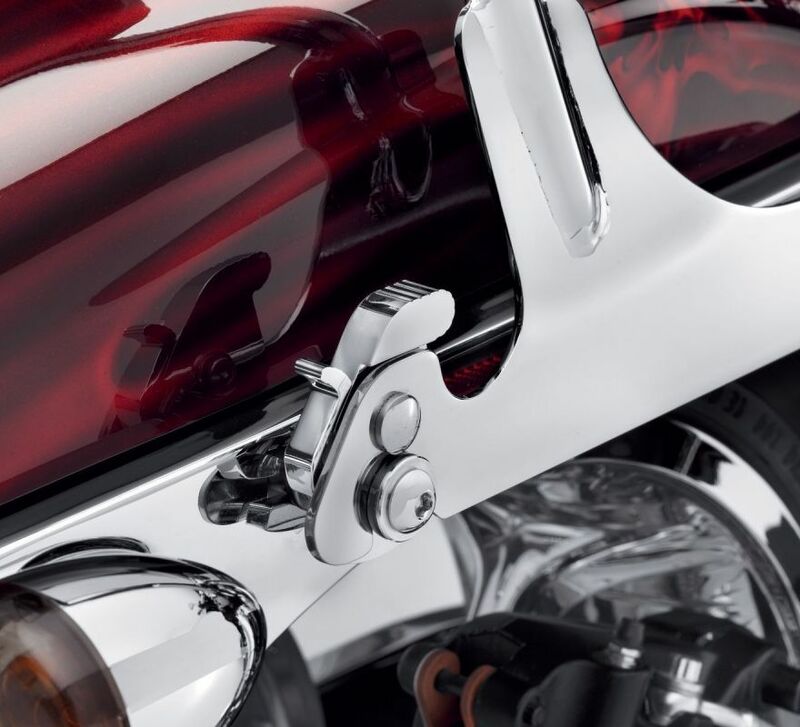 Fits all models equipped with detachable Sideplates, One-Piece Sissy Bar Uprights, Racks, and Tour-Pak® Luggage Mounting Racks ((except '18-later Softail® models with HoldFast™ racks and uprights).